Happy Valentine’s Day! This week is one of our periodic reminders to tell family and friends how much they mean to us. Although we’re hoping to dodge a few more snow storms this week, we’re also looking forward to Elmo and Ni Hao, Kai Lin screenings, ducks, live bands, sun creatures, ice festivals and silent discos. There should be lots of opportunities for fun, especially with winter recess right around the corner. Just don’t put away your snow boots and scarves too soon. Here is the week ahead. If there are two things we love at igokids, they are kids bands and book readings. 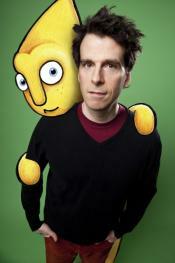 The Gustafer Yellowgold Show combines these two activities into one catchy family performance. On Valentine’s Day, the show makes its annual return to Symphony Space. Families will get to sit back and enjoy musical stories while vibrant illustrations of a sun creature and his earthly friends play on the projector. It’s a really cool concept and less sensory overload than a Pixar movie. The musical stories are fun and filled with lessons. The show starts at 11 am on February 14. Tickets are $22 for adults and $16 for kids. On Monday, February 9, Books of Wonder will host an evening launch party for Andrew Keenan-Bolger and Kate Wetherhead’s new book, “Jack and Louisa: Act I.” This looks like it will be a great new series for kids in middle school. The story begins with 12-year-old Jack Goodrich. He is a Broadway actor and singer who moves to Ohio when his voice begins to change during rehearsals. Louisa loves musical theater, but has never dared to audition for a show. When the two meet, they must learn from each other in order to make the journey to the stage as a creative team. This story draws on several elements from Kate and Andrew’s lives as actors and playwrights. It should be a good time for kids and especially those who are interested in the arts. The event runs from 6 pm to 8 pm. 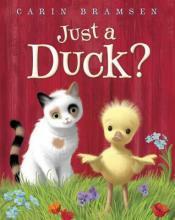 Saturday Story Time: Just a Duck? Author Carin Bramsen returns to Greenlight Bookstore to present her sequel to “Hey, Duck!” In Carin’s new book, “Just a Duck,” Duck must learn to play games that cat likes. However, catching leaves and climbing trees may prove to be a little difficult for the webbed-footed Duck. After a book reading, Carin will lead kids in a special Valentine’s arts and crafts session. Kids will learn how to create duck and cat valentines with paper shapes and other crafts. The event starts at 11 am on February 14. 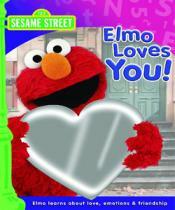 The book is for kids ages three to eight. If you’re looking for a fun way to celebrate Valentine’s Day, why not go out to a Silent Disco? What’s a Silent Disco, you ask? Well, you’ll just have to stop by Central Park’s Fourth Annual Ice Festival to find out. The event features a live-ice carving by Okamoto Studio. The studio will be recreating the park’s Romeo and Juliet statue out of 3,000 pounds of ice. There will also be InstaMeet photo challenges (powered by Instagram), 80’s themed photo booths, trivia, sweet confections and, of course the Silent Disco. The park will have two DJ’s spinning 80s music and top 40 songs that you can tune into on your headsets. Each headset, glows with the color of your music station so that you can party together without disrupting the peace of the park. The event runs from 3 pm to 7 pm in Central Park. Starting Saturday, February 14, the Sony Wonder Technology Lab will host four days of children’s screenings that feature some of your favorite characters from Nick Jr. and Sesame Street. The screenings feature Elmo, Super Grover and Abby Cadabby from Sesame Street as well as Kai-Lan (Nick Jr.’s “Ni Hao, Kai Lin”), Diego and Baby Jaguar (Nick Jr.’s “Go, Diego Go!”). Shows take place on February 14, 19, 21 and 28. All shows begin at 11 am. You can RSVP by email at swtlprgmsrsvp@sonyusa.com or by calling (212) 833-8100 and selecting option 3. 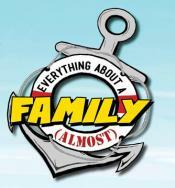 This will be the last weekend to check out the “Everything About a Family (Almost)” show at the Tada Theater. The show closes on Monday, February 16. Just as the title suggests, this show explores almost everything fun, odd, endearing and unusual abut family dynamics. It’s a great chance for your kids to see the kinds of projects that are kids there age are conceiving. There are tickets available for Friday’s 7 pm show as well as for the Saturday, Sunday and Monday afternoon shows. Check the calendar for the complete schedule. Tickets cost $25 for adults and $15 for children. Members of the Resident Youth Ensemble created the show.